More commonly known as kratom, the mitragyna speciosa is a tree that is indigenous to countries in Southeast Asia and Papua New Guinea. It is an evergreen plant belonging to the coffee family. It has glossy dark green leaves and can grow up to 25 meters in height. It also has other names in Asia like ketum, biak, thang, thom, and kakuam. Traditionally used in folk medicines since the 19th century, kratom has found its way into Western countries in recent years. Being highly effective, easily obtainable and undetectable in most drug screenings, it has gained massive popularity, especially amongst young people who are not yet of legal age to buy alcohol. In Southeast Asia and Papua New Guinea, people chew the leaves of mitragyna speciosa to help with pain relief, appetite, increase in energy and libido. However, you are most likely to obtain this drug in capsules filled with powdered leaf and pieces of chopped leaves to use in smoking or tea infusion. It has some characteristics similar to stimulants (temporarily enhancing mental and physical functions) and opiates (alkaloid compounds in opium poppy plants). Scientists have identified more than 40 compounds in mitragyna speciosa leaves. The two most significant psychoactive compounds are mitragynine and 7-hydroxymitragynine (7-HMG). They are both extremely potent agonists of the μ-opioid receptors, similar to morphine. An in vitro experiment shows that mitragynine can inhibit the CYP2D6 and CYP1A2 enzymes. This result means that there is a high potential for drug interactions in kratom. Mytragynine may also produce effects similar to that of a stimulant by interacting with other receptor systems. Mitragyna speciosa leaves also contain rhynchophylline, which inhibits the actions of the N-Methyl-D-aspartate receptor (NMDAR). Physicians utilize NMDAR antagonists as an anesthetic. Since ingesting kratom can provide a similar effect to that of morphine, many people use it to obtain relief from chronic pain. In Malaysia, there are reports of people using this natural drug as a substitute for morphine, especially those who are self-treating chronic pain. Because of this morphine-like property but with lower potency, people suffering from opium dependency also use it to treat this condition. In traditional medicine where there is a culture of using kratom, many folk doctors use mitragyna speciosa leaves to treat wounds or even as an anesthetic. These traditional medicine doctors also use the leaves or an extract of it to deal with a variety of conditions from coughs and diarrhea to sexual dysfunction and intestinal infections. As a nootropic, users have reported that they ingest kratom to enhance mood. As it could also produce stimulant-like effects when taken in small amounts, healthy individuals said that they become more social, alert and have increased energy level. Furthermore, some users also conveyed that they could achieve a better quality of sleep by consuming kratom. Because of its opiate properties, one of the most common side effects of kratom is that it has a potential to be addictive. Therefore, it is important to avoid using this drug on an everyday basis and only in low dosages. Addiction to mitragyna speciosa can cause a person to have lower libido, darkening of the face’s skin, weight loss, and constant craving for the drug. An addict of kratom will have to go through rehabilitation to become clean again. The withdrawal symptoms may include depression, crying, diarrhea, muscle jerking, restlessness, runny nose, panic episodes and mood swings. Apart from addiction, other undesirable effects of utilizing kratom may include hyperventilation, paranoia, delusions, sweatiness, nausea, throwing up, aggressiveness, nervousness, skin itching, and constipation. As kratom is still a relatively new drug outside of Southeast Asia and Papua New Guinea, it has not gone through much research nor regulations compared to a lot of other drugs. Therefore, there is no proper recommended dosage for it yet. However, some users have reported the different effects that they have experienced through the use of mitragyna speciosa in varying quantities. With a small dosage of 2 to 6 grams of kratom leaves, most people reported that the drug gives those effects similar to that of a stimulant. Going a bit higher at 7 to 15 grams, some users informed that they still only feel stimulant-like effects while others start to experience euphoria and sedative-like reactions. At 16 to 25 grams of mitragyna speciosa leaves, most users will feel strong sedative effects while, at a very high dosage of 27 to 50 grams, the responses become incredibly strong. The human body’s reactions to this high dosage may be severely sedating or euphoric while some users may have hallucinations and delusions. The above is a general guide for dosages of kratom. It is important to note that different batches of the leaves can have varying potency. Therefore, you must proceed with caution if you intend to self-administer kratom at home. 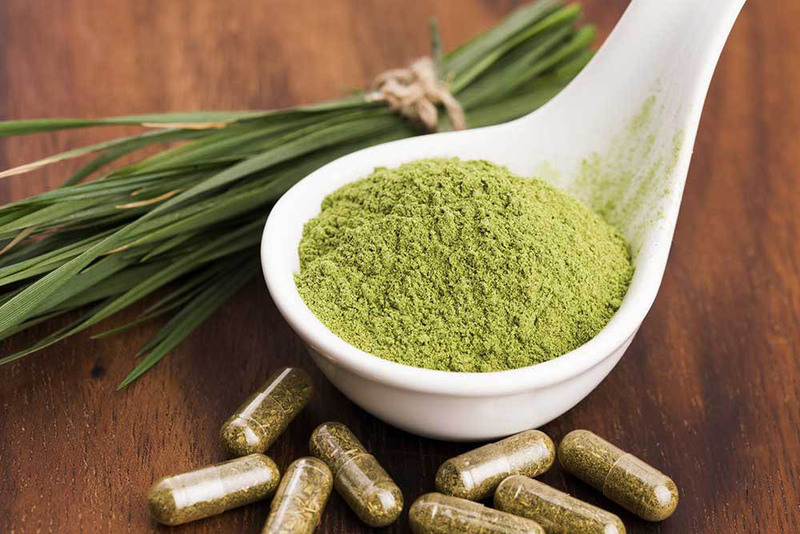 In the United States, the Food and Drug Administration (FDA) does not designate kratom as Generally Recognized as Safe (GRAS). In August 2016, the Drug Enforcement Administration (DEA) declared that it wanted to place the active ingredients of mitragyna speciosa plant into Schedule I of the Controlled Substance Act. If successful, this action will put kratom in the same category as drugs like heroin, LSD, and Ecstasy. However, many people protested against this action, especially individuals who were using kratom to treat chronic pain and opioid dependencies. However, according to Scientific American, the DEA pulled back its original intention and is reviewing the drug until December 2016. Since May 2016, mitragyna speciosa is illegal in five different states: AL, AR, IN, TN, and WI. The US Army has also banned its soldiers from using the drug. Since 2011, European countries like Sweden, Romania, Denmark, Poland, Latvia, and Lithuania have placed kratom as a controlled drug. Australia and New Zealand also set the drug as a controlled narcotic. In Asia, the Association of Southeast Asian Nations (ASEAN) forbids the use of kratom in traditional medicines and health supplements exported between its member countries. In Thailand, the government has made possession of this drug as well as planting the mitragyna speciosa tree to be illegal. In Malaysia, the government has prohibited the use of kratom and if caught, a user can be penalized and sent to prison. It is important to note that the effects of kratom can be severe and even fatal. There have been reports of kratom-related deaths and over 600 calls to poison control centers in the United States. Therefore, if you are considering using kratom, you are strongly advised to proceed with caution and consult a medical profession.